Towmaster didn't always build truck bodies, but we always built confidence. The trailers we manufactured back in the 1970's helped build our reputation. Customers soon realized that when they bought a Towmaster trailer, they were hauling their equipment longer, safer, and more stylish than with their previous trailers. This instilled confidence in buying a Towmaster trailer. When Towmaster decided to broaden its product lines into building truck bodies, that same attitude in building confident products flowed directly into the truck division. Towmaster produced truck bodies along with our truck equipment installations surpass most all customer expectations. The design, integrity, and quality of a Towmaster Edge truck body will impress you, but that’s only half the story. Our experienced technicians and deep relationships with the best OEMs and suppliers in the industry, guarantee that you will get only the top-notch equipment for your municipality or business. This all equates to better value for every dollar you invest into your truck from Towmaster. Towmaster, Inc. has always had a reputation for high quality heavy-duty industrial equipment trailers in that respective market, and constantly looks for ways to diversify its product offerings and grow the business into other related markets. In 2008 Towmaster diversified into truck body and truck equipment manufacturing, along with offering turn-key truck equipment installation, refurbishing, and repair services. Towmaster invested into a team of management, sales, and service technicians who are well known in the municipal & commercial truck equipment businesses. With the experience of the existing fabrication department, the staff of skilled welders, & seasoned installers, Towmaster’s truck equipment team has excelled in this expansion and has quickly gained the trust of the Minnesota municipality market. Diversification continues to be the focus of this rapidly growing division. 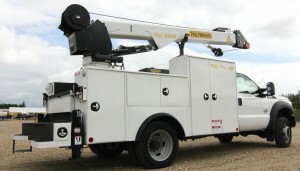 In 2012, Towmaster became an Upper Midwest dealer of Palfinger’s platforms, service bodies, and cranes. 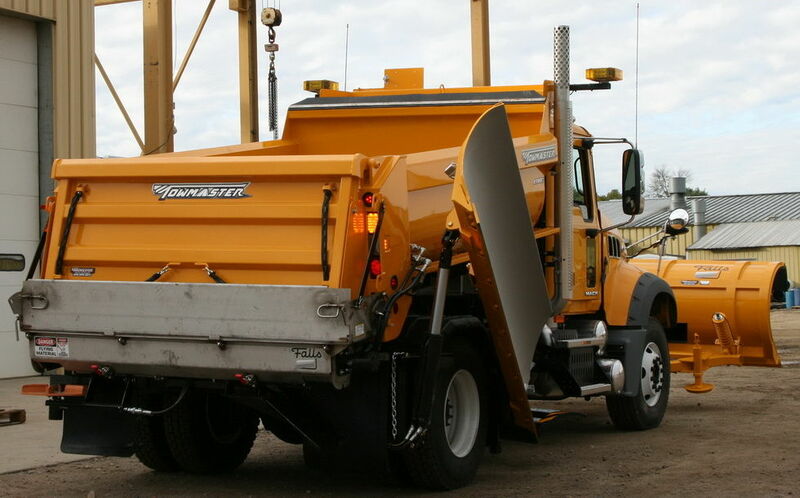 Later that year additional distributorship opportunities were seized by Towmaster with Valley Blades Ltd (cutting edges & wear parts), as well as KM International to represent their line of Asphalt Maintenance, Recycling and Crack Preparation Equipment in Minnesota. All of these products complement the truck equipment offerings here at Towmaster. Towmaster continues to secure the highest quality parts, the best raw materials, the best skills & knowledge to supplement and support all of the products that are represented. We would be honored to help you solve your equipment needs. In 2017, the Towmaster company was purchased by Monroe Truck Equipment, creating a new business unit named Monroe Towmaster, LLC. This gives Towmaster and its customer's, even more opportunities for creating a stronger company. Improved lead times, deeper market penetration, and even better service on top of our already superb one-on-one customer relationships can be realized with Towmaster's growth opportunity.